Surf Easy is a company that provides virtual private network (VPN) services. A VPN basically creates an artificially network that gives you more security when browsing the Internet and downloading files. There are a lot of VPN service providers that you could use. When I was reviewing these companies, I focused on security, speed, and affordability. After looking at more than a dozen service providers, I decided to sign up with Surf Easy. If you’re not very familiar with VPN services, these benefits might not mean a lot to you. I’ll go through some of the more important features to help you better understand why they are important to have. When you access a website, it gathers information about your location. It knows a lot about you, including what state and country you are in. Aside from that being a little scary (especially considering that some governments have used this technology to spy on and track people who access restricted information), it limits the kind of content you can get. For instance, if you live in the United States, websites like Hulu and Netflix will only let you view content that has been approved for that area. It has to do with copyrights and business agreements. What it comes down to, though, is that you, the consumer, doesn’t get to watch all of the TV shows and movies that these websites have. You can’t view them simply because of where you live. I, for one, think that’s ridiculous. If I’m paying for premium content, I want access to the whole library. With a good VPN service, you can trick those websites into thinking that you are in another country. So, if your favorite TV show is only available in England (or wherever), you can use your VPN to make it look like your computer is located in England. Suddenly, you can watch your shows without those restrictions. All kinds of websites and streaming services do this. If you don’t have a VPN, then you are missing out on great content that you helped pay for. No thanks. I’ll spend a few bucks a month to significantly increase my media library. You probably already know that countries like China try to prevent their residents from looking at websites they consider inappropriate. A lot of times, those countries block content simply because they do not want their citizens to read information that could educate them. China doesn’t want its citizens to know about all of the things their government does. Officials try to stop this by blocking access to websites that the rest of the world consider benign. Now, you might think that this is only a problem for people living in authoritarian countries. Maybe that’s true. But maybe it’s not. When I hear about civil rights violations in other countries, I almost immediately think “my country would never do that.” And then I remember that the United States has spent years collecting data about what its citizens do online. Am I being paranoid? I don’t think so. I think I’m protecting myself from having my rights violated. If I’m wrong, then I guess I’ve wasted a whopping four bucks a month. If I’m right, then I’m stopping the government from eavesdropping on me. I’ll take that $4 gamble. Surf Easy lets you decide whether you will pay for your VPN services annually or monthly. You can save about $12 per year by choosing the annual method. I also find that the annual method is a little simpler. It’s just one less thing to think about. If you choose an annual payment, it works out to $3.99 per month. If you choose the monthly payment option, you will spend $4.99 per month. Either way, it is a good deal. Taking the annual option just saves you a bit of money. Surf Easy also gives you two ways to pay your bill. If you prefer paying for online services with a credit card, then you can use a Visa card. Personally, I prefer using my PayPal account. I almost always use PayPal when paying for things online. It feel like it gives me a little extra security. It’s not that I don’t trust Surf Easy. They’ve given me no reason to think that they would misuse my information. But I hear way too many stories about identity theft. It is not worth the risk to me. You never know when some hacker is going to break into a company’s database and steal customer info. If that were to happen, I’d rather the criminal have my PayPal information than my credit card numbers. You wouldn’t believe how easy it is for a tech-savvy criminal to steal your information. A person with the right knowledge and software can sit outside of your house and watch everything you do online. That person might be collecting your passwords, bank account information, and credit card numbers. This is a serious problem that a lot of people just try to pretend doesn’t exist. They don’t want to feel unsafe in their own homes, so they put it out of their minds. Unfortunately, the problem gets even worse when you go out in public, whether that means using a public network or accessing the Internet through your mobile device’s network. Sorry, but your password is only keeping dumb criminals out of your life. The smart ones have ways around such small precautions. VPN adds a level of encryption that helps prevent thieves from taking your personal information online. Instead of connecting directly to the Internet, you’re creating a kind of tube that funnels data back and forth. That tube is like an insulator. It’s probably not impossible for a really smart criminal to eavesdrop on you, but this added level of protection forces them to work a little harder. There’s one thing I know about criminals: they don’t like to work. If you have a VPN, those people will pass you by and look for easier targets. It’s not unlike having a security system for your house. It won’t necessarily stop someone from breaking in. But the added security usually convinces thieves that they should move along. If you know anything about Internet speeds, you probably know that pretty much all of the companies make promises that they can’t follow through with. In Surf Easy’s case, you may notice that you don’t really have “unlimited data.” Well, maybe that’s not exactly correct since it’s not like Surf Easy puts a cap on the amount of data that you can download and upload. What ends up happening is that data can only move at certain speeds. When it says “unlimited,” you can’t expect that to mean that your files will download instantly. Nothing is that fast. This is more a criticism of the entire industry. It’s certainly not just Surf Easy. Even your local ISP probably doesn’t give you the speed and data limits that it says. You can contact customer support via phone or email Monday through Friday from 8am until 8pm, and on Saturday and Sunday from 9am to 5pm. You can also follow Surf Easy on most popular social media platforms. That way, you can reach out to them through your favorite website or app. If you aren’t using a virtual private network service provider, I highly suggest that you start soon. Not using a VPN means that you are open to thieves and government surveillance. These problems are only going to get worse, so you might as well start protected yourself as soon as possible. 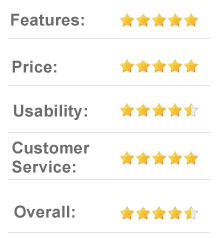 After reviewing several VPN service providers, I decided to sign up with Surf Easy. I like the company because it offers good services at affordable prices. You will find that some companies charge outrageous prices for similar services. You don’t need to spend so much money protecting yourself when Surf Easy is willing to offer the same benefits without taking advantage of its customers. At the same time, you may have different concerns than I do. 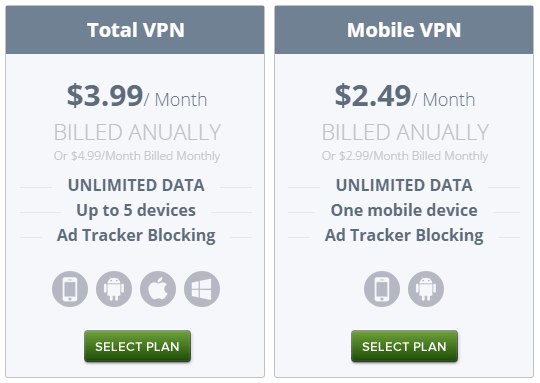 Perhaps you want VPN on more devices, so you’re willing to spend more money. For me, Surf Easy was the best solution. I’d recommend it to anyone who wants better security that’s affordable.